Everything’s bigger in Texas. So given that the Super Bowl is already one of the biggest nights in sports, this year’s Super Bowl LI at NRG Stadium in Houston, Texas, is sure to be one to remember for football fans across the nation. And while the Super Bowl event does use up a lot of energy with its enormous stadium, electrifying halftime show, and live broadcast to millions of homes, watching the Super Bowl may actually be the most sustainable thing some football fans do all year. Calculating the exact energy footprint of Super Bowl LI is difficult, if not impossible. The game will influence Houston on a far-reaching scale. The city will be transformed into a major destination for football fans, with hotels and highways filled to capacity. With thousands of fans and staff members all headed for the stadium, you can expect the energy use in downtown Houston to hit an absolute peak. TVs throughout the country will be turned on and tuned in. Around 167 million viewers watched all or part of last year’s game, with millions more streaming the game or viewing on TVs at sports bars and parties. These television sets carry a considerable energy cost. The halftime show is a huge production, bringing together a massive sound system, light shows, moving stage platforms, musical instruments, and an army of production specialists backstage. Halftime is also the peak time for viewership; even people who don’t like football tune in to see the show. Sports stadiums are massive enterprises for cities all over the United States—and when it comes to energy consumption, they use a lion’s share. They need electricity to power air conditioning, lighting, scoreboards and technology, speaker systems, and a host of other energy-sucking tasks. In 2013, Dallas’s AT&T Stadium came under fire for its energy use, which hit as high as 10 megawatts (MW) at its peak. NRG Stadium’s usage will likely be similar. But while those massive game-day numbers sound intimidating, they don’t necessarily tell the whole story. Even if NRG Stadium’s energy consumption matches that of AT&T Stadium, the 72,000 screaming fans filling seats in February may actually end up using less energy than they would on an average day. If NRG Stadium runs at a peak capacity of 10 MW for about five hours, the arena will use a total of around 50 megawatt-hours (MWh) of electric power distributed across all the fans in the stadium. That amounts to just under 700 watt-hours (Wh) per person. This is much less than the average peak consumption of 30,000 Wh that most households hit on an average day, according to the US Energy Information Administration. While that doesn’t take into account fuel use getting to and from the stadium—or any other incidental energy expenditures—it does show that actual energy use may not be as high as initially expected. Further, the stadium likely won’t be running at peak capacity for the entire evening. 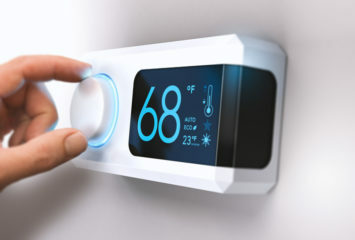 For instance, as Houston’s average temperature falls between fifty and sixty degrees Fahrenheit in February, fans will likely be cool enough without air conditioning, reducing one potentially hefty energy drain. In the United States, the Super Bowl is a national event. The millions of Americans who tuned in last year made Super Bowl 50 the third-largest broadcast event in US history. Over one-third of the American population tuned in, and that number doesn’t necessarily count everyone who left home to watch the game at a sports bar or party. Thinking about all those television sets may seem like a big energy cost, but power companies have found that energy use in American households may not increase at all on the night of the Super Bowl. In fact, because so many people view the Super Bowl at big gatherings with friends and family, there might be less power used overall. One report by O-Power found that energy use during the Super Bowl actually plummets to 5% below normal levels. 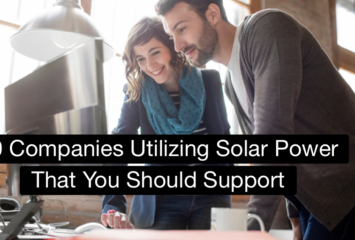 It’s not just fans who are helping cut energy use, either. 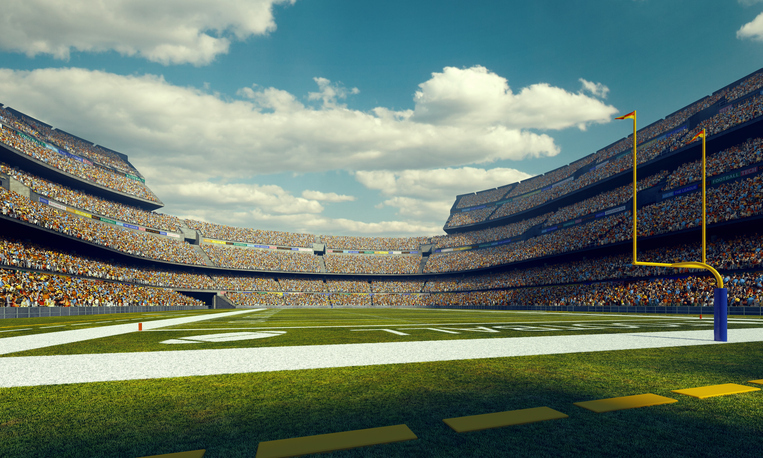 In the past several years, the NFL has led the way for sustainability in professional sports. Last year’s game was a net-zero energy event, and most NFL stadiums are implementing sustainability plans that include substantial building retrofits. NRG Stadium can count itself as one of the structures leading the way in energy conservation. The stadium uses energy-efficient LED lighting in fixtures, for instance. At full power, these new lights consume around 60% less than the traditional fixtures they replaced. The stadium also has over 600 solar panels, a total system size of 180 kW. These solar panels also help power new electric-vehicle charging stations. And while these sustainability strategies are just a start—the energy demands of the game is still much higher than the amount offset by the panels—it’s a testament to both the stadium’s and the league’s commitments to going green. So what can you do to help lower the energy demands on game day? Catch the game with a big group of fellow fans, preferably at a location easily reached on foot, bike, or public transit. If viewers are consolidated at parties, bars, and NRG Stadium on the night of the big event, the energy costs of the Super Bowl won’t be unsustainable. Just don’t forget to turn the lights off before leaving your home for the game day festivities.